Paris court finds UBS guilty of helping wealthy French clients stash funds in undeclared Swiss accounts. UBS Group AG was ordered to pay more than 4.5 billion euros ($5.1 billion) by a Paris court that found the bank guilty of helping wealthy French clients stash funds in undeclared Swiss accounts. The Paris criminal court ruled on Wednesday that UBS illegally provided French customers with banking services to hide assets from tax authorities. The judge fined UBS 3.7 billion euros and added another 800 million euros in compensation to the French government. For eight years now, UBS has been dealing with the French probe -- and bad press. Ahead of last year’s trial, the lender was accused in the indictment of dispatching Swiss bankers across the border to seek out new clients even though they lacked the paperwork to offer such services in France, and also laundering customers’ undeclared funds. UBS said it would appeal the ruling, which delays the need to make any payments until there is a final decision from higher courts. The Zurich-based bank’s shares fell as much as 4.8 per cent, the most since January 22. The French unit of UBS was also found guilty, as well as five former bankers who were defendants in the case. A sixth banker, Raoul Weil, was cleared by the court. “The concealment of assets and the unpaid taxes caused financial damages of an exceptional nature given the longevity and size of the fraud,” Mee said. The UBS case is part of a French crackdown on tax fraud operated via Switzerland that’s seen the conviction of a former minister and a 300 million-euro settlement with HSBC Holdings Plc. French financial prosecutors at the Parquet National Financier were however dealt a blow with two successive acquittals of art dealer, Guy Wildenstein, in a case where he was accused concealed paintings worth hundreds of millions of dollars in offshore trusts to avoid taxes. 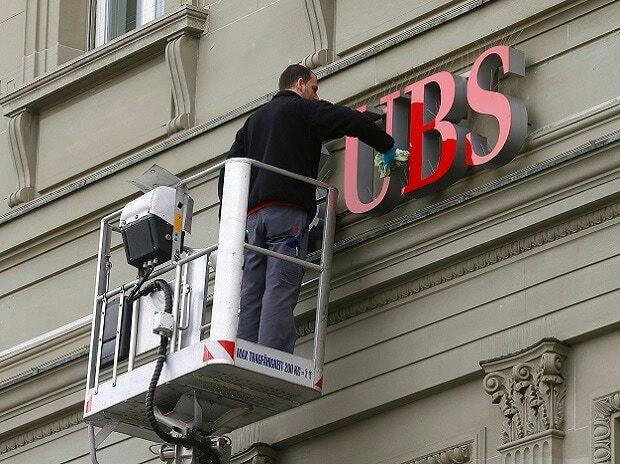 For the first three weeks of the trial, all seemed to be going to plan for UBS. Testimony was consistent and in favor of the bank, with few biting questions from judges or prosecutors. Then, mid-trial, Mee started telling defendants she didn’t buy their explanations and her remarks became sarcastic. The judge cut off a UBS executive for lecturing her and even yelled at UBS’s main counsel for squabbling with a plaintiff lawyer during a defendant’s testimony.